App is not working. I’m logged in and the app throws up pay walls even though I pay for a subscription. Please fix! Like seeing the same articles for multiple days? You’ll like this app. Very underwhelming. You’ll see the same article repeated in different sections and it will also appear for multiple days. What kind of “daily” newspaper is that? I much prefer the e-edition of the Chron’s cross town rival the San Jose Mercury News. Maybe I’m old fashioned, but I like being able to see an entire digital image of each page and then select any article I wish to read. As a sports fan, I think the Chron’s long time sports columnists are tops. Too bad there isn’t a better platform on which they can publish. But after using Version 3 I have two issues. 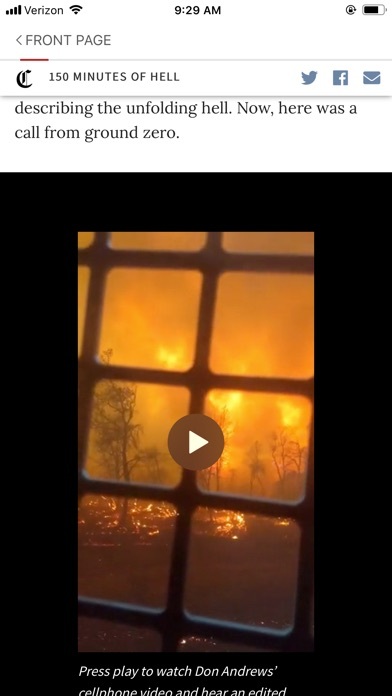 Landscape mode on an iPhone 8 or later is unusable. I have complained to customer support for two months with no impact. Also I sure wish it would rerun me to where I was reading if I leave the app. Version 3 - Finally!!! Now it seems like a professionally created app. More to come as I use this much improved version. Version 2.3.10 - more reliable now. Fixed music problem. Not a fan of the interface feel but it is working. Continue my wish for larger fonts like almost ALL other news apps. Version 2.3.8 - still crashes daily. If you are listening to music while reading your paper, it will repeatedly stop your music from playing. Navigation with the swipe left and right makes scrolling through an article challenging. Still wish for a larger font. Version 2.2.5 - really pretty much the same. I have written to the support team and they say they are working in it. But this app has really not improved much in the past year. Layout and image placement has improved. But load times and crashes have not. And the app is often unresponsive when you return to it from another app. This app is still inconsistent and crashes daily. While there is some control over font size - still too small for my eyes. 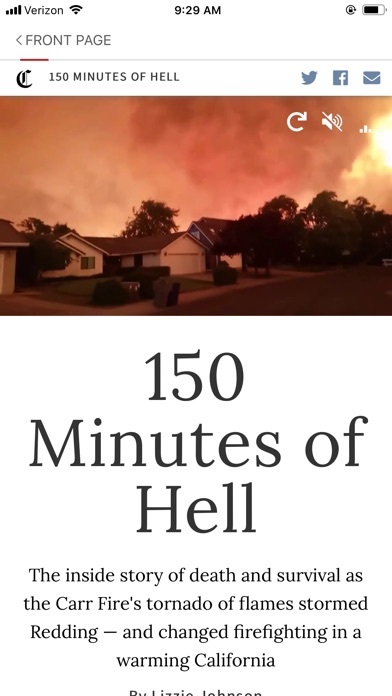 The layout is inconsistent and images sometimes do not show up. It seems their support team is as frustrated with their developers as the users are. 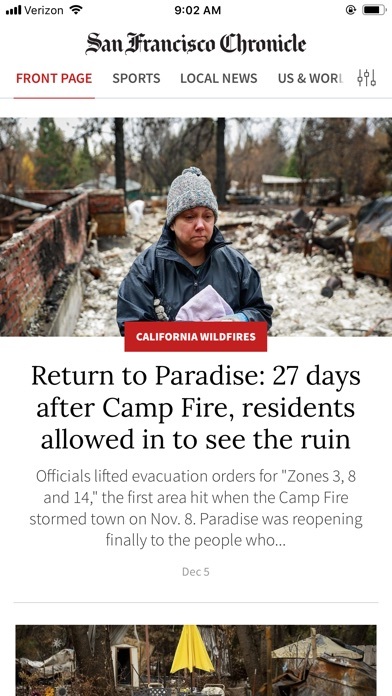 I truly want to support the chronicle with my subscription but the app really has to work better. Previous - This is how I get my Chronicle every day. The articles are all there and they have fixed many interface issues. But they also introduced a new one - if you get an error due to spotty Internet coverage, the only recourse is to relaunch the app, even when there is Internet access. 1. Slow and annoying reloads when switching apps. If you leave the app and come back, you will get back to where you left off, but only after a tedious reload. FIXED 2. Also slow to switch between articles and even turn pages. The page turn slides the entire interface across the screen just to get to the next page. Most apps I used for reading are much faster than this one. IMPROVED 3. Part of the reason I read the paper digitally is to be able to follow links in articles. Most links are just listed as text so you cannot click on them. Nor can you even copy the text to put in a browser. Major flaw! IMPROVED 4. Seems to take forever to download a new edition (on very fast wifi). Often get message to quit the app as new edition has just been downloaded - annoying. And don't even try to download to read offline. Takes forever. FIXED - but they still have a poor updating process. 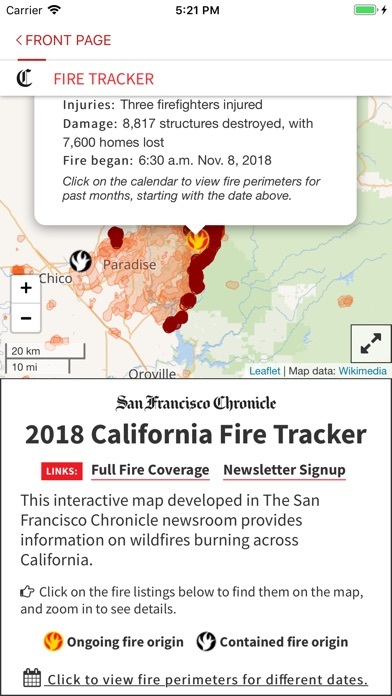 Whenever I try to read the Chronicle I get a message saying that I have read my last free article for the month even though I am a digital subscriber. If I tap the sign in button it tells me that I am already signed in-or allows me to sign in. In that case I may be able to read one article before I get another message saying that I have read my last free article- and round and round. Quitting this app and my subscription. Hate the new update. No search feature and the crossword puzzles are gone. What were you thinking? Just checked latest update... Still a mess. And just checked the latest update. No improvement and no way to contact The Chron to tell them. So stupid, fix the sign in! The app is worthless if subscribers can’t sign in. UPDATE: two months after I submitted this review, the same problems (missing features, no search function, etc.). 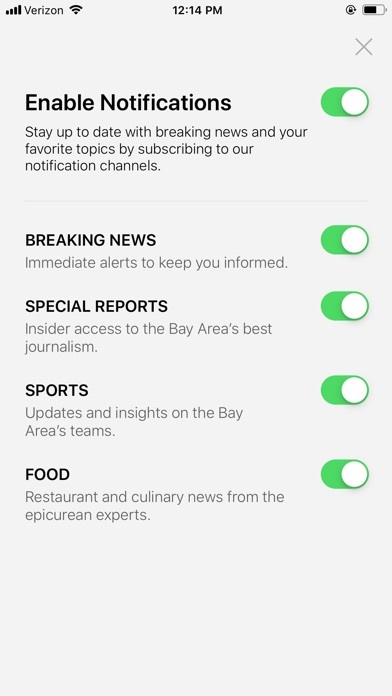 Today I have to find these features by searching the Internet (where I end up reading Mick LaSalle’s column on the sites of competing newspapers, even though the SF Chron is his home). I still rate this app one star because there is no lower designation. (Complaints in my original post are detailed below.) Two features that regularly drew me to the previous app were the Ask Mick LaSalle column, and the horoscopes (especially Sunday’s Minerva feature). The latter might sound silly, but checking the horoscope was a fun daily ritual, followed by reading articles of interest. Now that there is no daily horoscope, I’m out of the habit and ease of visiting the Chron app at all (I’m not going to invest the extra time in looking it up and reading the paper on my laptop at work). Similarly the Ask Mick LaSalle column – if I happened to miss it, very easy to enter it in the search field, and then I’d stick around reading other items – but now it’s inaccessible, unless I happen to visit the app the day it’s published. I’m sure your intent wasn’t to shift daily readers to an occasional rare visit, but at least in my case, that’s the result. Every time I want to read a story on my phone, I get asked to link my print subscription. Every. Time. 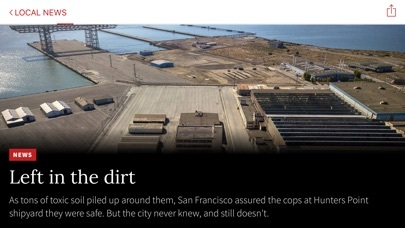 Technical assistance at SF Chron amounts to no more than apologies. No horoscopes, no crosswords and no search. 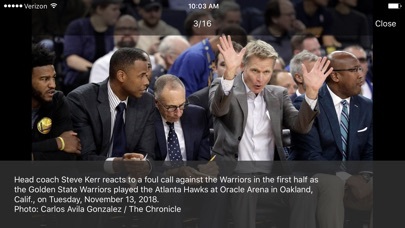 This app is a very poor reflection of the San Francisco Chronicle. You can do better. You should do better.